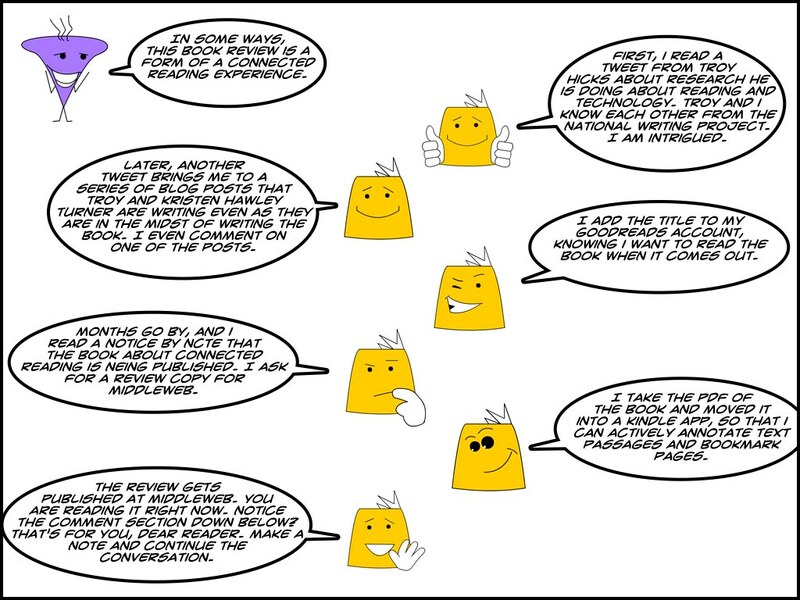 Over at Middleweb, I reviewed a new book about “connected reading” by Kristen Hawley Turner and Troy Hicks. They push our thinking about the ways that Connected Learning principles can take root with adolescent readers. 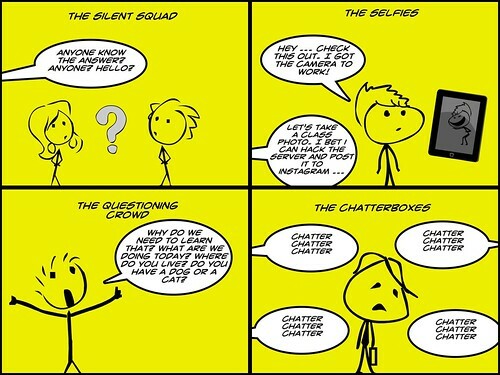 The comic I share above was my way of putting connected reading practice into reality, as I mapped out how I came to review the book and then am asking readers at Middleweb to extend the conversation even further. My latest blog post over at MiddleWeb explains how I asked my students to assess me as their teacher. I used Google Forms and collected responses, trying to get a handle on how their school year has gone from their perspective. My latest blog post at Middleweb is about our school’s game of Quidditch, and how we make it a learning event beyond the game itself. My latest post over at Middleweb is about a poetry project in which my students not only write digital poems, but learned about the use of image and citation, and the underlying structure of the Internet itself: the hyperlink. Speaking of technology and writing, spend a few minutes watching this video. Brad Wilson gave a short Ignite talk at MRA (Michigan Reading Association) on how to shift away from talking about technology itself and instead, to talk about writing. He lays the blame for students not fully engaging in writing in a digital age to teachers, and then shows a potential path forward.